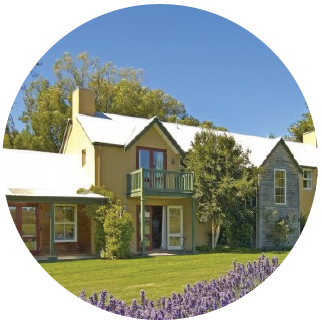 7 Nights/ 8 Days package staying at 5 star Millbrook Resort in Arrowtown. You will pick up your hire car from the airport, which you will have for the duration of your stay. With 5 rounds of golf at the Millbrook, Jacks Point, Arrowtown, Kelvin Heights and Sir Michael Hill’s private course, The Hills. Dinner at the top of the skyline gondola, wine tasting in Gibbston Valley and a boat cruise with the Spirit of Queenstown. 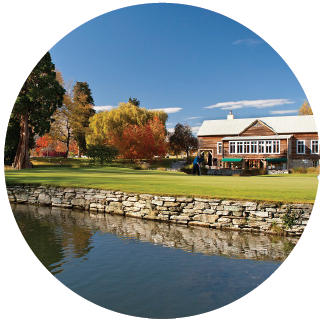 18 Holes at:The Hills - A private 18 hole championship golf course located in Arrowtown. Built by Jeweller and golf lover Sir Michael Hill, which reflects the quality and his distinct eye for detail that has made The Hills something special. Millbrook - A 27 hole championship golf course and one of the most scenic golf courses in the world. Jack’s Point - A 18 hole championship golf course is located between the lake and the Remarkable Mountain range, everywhere you look, you will see amazing scenery. Kelvin Heights - Kelvin Heights Golf Course or Queenstown Golf Club is situated in the amphitheatre of the Remarkable Mountains and offers a unique opportunity to play on what is internationally regarded as one of the most picturesque golf courses in the world. These luxurious and spacious studio rooms are located in a private lane close to the village centre. Situated in a quiet cul-de-sac surrounded by flora and fauna, each Village Inn room has a French provincial decor, a Californian king bed, flat screen TV and a patio or balcony with views over the surrounding mountains, golf course or Millbrook grounds. Only a short stroll to the village centre, these studio rooms are perfectly located. Millbrook’s in house guests receive complimentary use of the health and fitness centre, the resort shuttle to/from Queenstown and Arrowtown. Sit back, relax and enjoy spectacular scenery of the Remarkables, Cecil Peak, Bob’s Cove and Mt. Earnslaw from the comfort of our NEW, luxury cruise boat ‘Spirit of Queenstown’. Take panoramic photos from our open top deck or enjoy a coffee and lunch from our onboard cafe. Our cruise takes you further and shows you more of this stunning landscape, as we cruise you over to Mt. Nicholas High Country Station (Mt. NIC) with an entertaining commentary provided by our local skipper. On this tour you will gain access to the alcove in the cave where the seriously interesting tastings are held. Tucked in here in an environment of fine wine and relaxed discussion, you will try the substantially cool new Single Vineyard wines – and whatever else is topical at the time. Hosted by a senior member of staff, these twice daily tours are for those who want something more substantial to fuel their interest. Feast on delicious New Zealand cuisine for dinner, served up with the best views in town at Skyline Queenstown Restaurant. The famous Taste of New Zealand buffet offers delectable fresh seafood, salads, roast meats and delicious desserts, while the panoramic view from our windows will captivate you day or night. 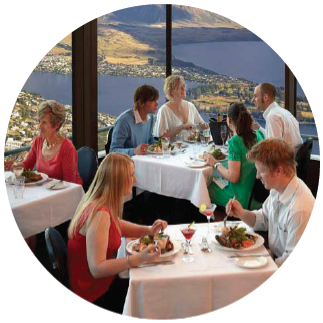 It’s the ideal place for that special night out and the best view in Queenstown.